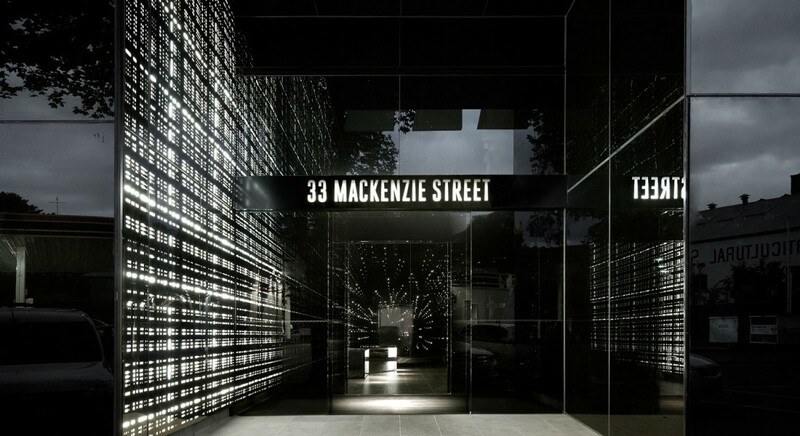 NDYLIGHT were introduced to the 33 Mackenzie Street residential project team to assist in the execution of the lighting to the main entry foyer. The design team had a very specific vision they were wishing to achieve and NDYLIGHT worked closely with Elenberg Fraser to translate exactly what this idea encompassed. The creative brief was to create several very specific lighting installations that required careful consideration and prototyping on their own, but also required a very careful balance between ambient and feature lighting to provide the required outcomes. Given the original lighting design did not meet the client’s vision, a key element of NDY’s design scope was to provide a solution using as many of the originally specified luminaires as possible, changing fittings for cost neutral solutions and providing new solutions only where absolutely necessary.